NEW HAVEN – As the US Federal Reserve attempts to exit from its unconventional monetary policy, it is grappling with the disparity between the policy’s success in preventing economic disaster and its failure to foster a robust recovery. To the extent that this disconnect has led to mounting financial-market excesses, the exit will be all the more problematic for markets – and for America’s market-fixated monetary authority. The Fed’s current quandary is rooted in a radical change in the art and practice of central banking. Conventional monetary policies, designed to fulfill the Fed’s dual mandate of price stability and full employment, are ill-equipped to cope with the systemic risks of asset and credit bubbles, to say nothing of the balance-sheet recessions that ensue after such bubbles burst. This became painfully apparent in recent years, as central banks, confronted by the global financial crisis of 2008-2009, turned to unconventional policies – in particular, massive liquidity injections through quantitative easing (QE). The theory behind this move – as espoused by Ben Bernanke, first as an academic, then as a Fed governor, and eventually as Fed Chairman – is that operating on the quantity dimension of the credit cycle is the functional equivalent of acting on the price side of the equation. That supposition liberated the Fed from fear of the dreaded “zero bound” that it was approaching in 2003-2004, when, in response to the collapse of the equity bubble, it lowered its benchmark policy rate to 1%. If the Fed ran out of basis points, the argument went, it would still have plenty of tools at its disposal for supporting and guiding the real economy. China still has ammo left to combat its housing slump. But even the heavy artillery it is holding in reserve may not be enough. Earlier this week, the country's central bank unveiled a basket of piecemeal measures to support housing. These included encouraging banks to issue more mortgage-backed securities, and allowing more people to qualify as first-time buyers, giving them preferential mortgage terms. 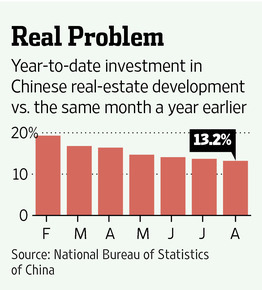 China is in the midst of a serious real-estate correction. Nationwide property prices have fallen by 3.1% from April through September, according to the China Real Estate Index System, a private data provider. That may not seem dire, but it is equal to the previous price decline, over a longer period, between August 2011 and May 2012. Sales figures are more alarming, with government data showing total housing sales falling 10.9% from a year earlier in the January-August period. Previous Chinese property corrections were all due to deliberate government policies to rein in the market, including restrictions on apartment purchases at the local and national level. Prices were quick to rebound once the government lightened up on the reins. This time is different. There was no policy trigger for the latest downturn, and prices have kept sliding even after dozens of local governments have lifted restrictions on property purchases. This suggests the correction is the natural result of a buyers' strike. Ordinary Chinese seem to have been shaken out of their conviction that property can only appreciate over time, similar to the psychological turn seen in the U.S. in 2007. A recent central bank survey of households found that only 19% of respondents expect prices to go up over the next three months, down from 36% a year ago. The true test may be yet to come. 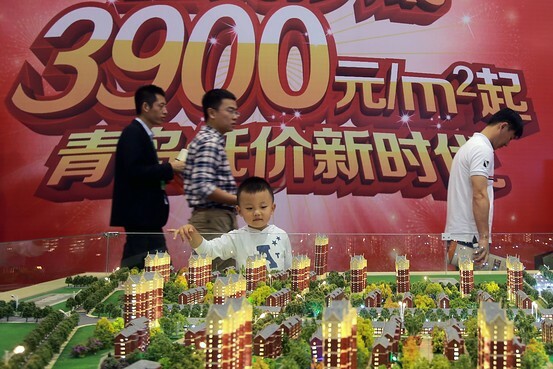 Beijing could still break out the big guns, by lowering the current down-payment requirements of 30% for first-time home buyers and a punitive 60% for second-time buyers. But if the public still believes the market has further to fall, even these measures may not succeed in luring them back to the market. The nuclear option is a broad economic stimulus. That might be the only thing that could bring Chinese housing back—just don't count on it. NEW YORK – In the midst of the ongoing dispute between Argentina and the “vulture funds” that hold its bonds, a broad consensus has emerged concerning the need for sovereign-debt restructuring mechanisms (SDRMs). Otherwise, US Federal Judge Thomas P. Griesa’s ruling that Argentina must pay the vultures in full (after 93% of other bondholders agreed to a restructuring) will give free rein to opportunistic behaviors that sabotage future restructurings. Most recently, the International Capital Market Association (ICMA) recommended new terms for government bonds. Though the ICMA’s proposal leaves unresolved the hundreds of billions of bonds written under the old terms, the new framework says in effect that Griesa’s interpretation was wrong, and recognizes that leaving it in place would make restructuring impossible. The ICMA’s proposed contractual terms clarify the pari passu clause that was at the heart of Griesa’s muddle-headed ruling. The intent of the clause – a standard component of sovereign-bond contracts – was always to ensure that the issuing country treated identical bondholders identically. But it has always been recognized that senior creditors – for example, the International Monetary Fund – are treated differently. Sand is becoming so scarce that stealing it has become an attractive business model. With residential towers rising ever higher and development continuing apace in Asia and Africa, demand for the finite resource is insatiable. It's during the few hours when the sea retreats and reveals its underlying treasure that the people come. At first they appear like ants, small dots on the mountain slope, but the group, perhaps 100, quickly draws closer. The men carry shovels, and the women, buckets. They've come to steal Cape Verde's sand. A young man jumps into the ocean and wades a few meters out. The water rises up to his chest. He dives under, and when he returns to the surface, his sludgy bounty drips from his shovel. He energetically shovels the mass into a bucket held by a woman waiting next to him. As she lifts the heavy bucket onto her head, she pauses for a moment, closing her eyes. A wave hits from behind and rolls over her. Once it passes, she clenches her teeth as she wades back to shore. The sand robbers are in a hurry. The ebb here lasts six hours and they can only mine the sand during low tide. Very few of the people here can swim, and the task can be life-threatening even at low tide as the waves break over their heads and the currents tug at their legs. They rush back and forth. Some are still youthful, but others are over 50. A heavily pregnant woman climbs out of the water, another grabs her hand to help her along. They come here every day, they say. "Except Sundays. On Sundays we go to church." The sand has long since disappeared from the high-tide shorelines at beaches like this, with only dirt and stones left to mark the coastline. Once the sand disappeared on the shore, the people began venturing into the water to find it. They've since been mining away their island's sand, one bucket at a time. Diminutive Cape Verde, located around 600 kilometers (373 miles) west of Senegal, is comprised of nine inhabited islands in the Atlantic Ocean formed by volcanoes. It's a beguiling land, one where papayas, mangos and pineapples grow between canyons. The sun shines year-round, the waters of the Atlantic foam on its shores and rare turtles bury their eggs on beaches. Cape Verde is considered one of the safest and most stable regions in Africa. It would be a dream destination for tourists if it weren't for the fact that the Cape Verdeans are hard at work destroying their beaches. Of course, there are still intact shorelines on Cape Verde -- places where luxury hotels serve guests from Italy, Germany and Portugal. But in other areas, the beaches are disappearing. From a distance, it looks like gophers have dug their way through the beaches, with piles of sand stacked up, still dark from the wetness. Between them, stones are scattered, having been separated from the sand. And there are several pits, some as deep as two meters. The phenomenon of disappearing beaches is not unique to Cape Verde. With demand for sand greater than ever, it can be seen in most parts of the world, including Kenya, New Zealand, Jamaica and Morocco. In short, our beaches are disappearing. "It's the craziest thing I've seen in the past 25 years," says Robert Young, a coastal researcher at Western Carolina University. "We're talking about ugly, miles-long moonscapes where nothing can live anymore." The sand on our ocean shores, once a symbol of inexhaustibility, has suddenly become scarce. So scarce that stealing it has become attractive. Never before has Earth been graced with the prosperity we are seeing today, with countries like China, India and Brazil booming. But that also means that demand for sand has never been so great. It is used in the production of computer chips, plates and mobile phones. More than anything, though, it is used to make cement. You can find it in the skyscrapers in Shanghai, the artificial islands of Dubai and in Germany's autobahns. In 2012, Germany alone mined 235 million tons of sand and gravel, with 95 percent of it going to the construction industry. The United Nations Environment Program (UNEP) estimates global consumption at an average of 40 billion tons per year, with close to 30 billion tons of that used in concrete. That would be enough to build a 27-meter by 27-meter (88.5 feet) wall circling the globe. Sands are "now being extracted at a rate far greater than their renewal," a March 2014 UNEP report found. "Sand is rarer than one thinks," it reads. At times, the paucity of sand has even forced workers to put down their tools at construction sites in India and China. It has also halted fracking-related drilling in the United States because the process requires that sand be mixed in with the water pumped into the ground in order to keep open the fissures from which gas is extracted. "Sand is like oil," explains Klaus Schwarzer, a geoscientist at Germany's University of Kiel. "It is finite." Western Carolina University's Young adds, "If we're not careful, we'll run out of sand." The people of Cape Verde are already learning the hard way what can happen when the sand starts to disappear. In Ribeira da Barca, the small town where the sand thieves come from, fishermen store their boats in the streets. A pack of dogs snoozes in the shadows. A few steps further, town official Jerónimo Oliveira stands at the shore, his hands clasped behind his back. He tries to explain how the situation could have progressed this far. When he was around six years old, Oliveira recalls, he could still play on the beach. Today, though, the black sand has been replaced by ocean. The remains of a wall jut out between the waves. "One day, one of the houses collapsed," he says, its foundation having become instable. "It probably won't be the last," he adds. The sand had protected the town from the water like a dike. But once the beach began to shrink, the ocean devoured the remaining sand at an ever faster pace, taking a little more with each wave and passing storm. Today the surf gnaws at the foundations of homes, with the climbing sea level and erosion intensifying the effect. As the problem began to grow, residents asked the government for help. Now, a wall runs along the shoreline -- made of concrete. Oliveira shakes his head. Although he says he doesn't want to defend the sand thieves, he also doesn't want to condemn them. He explains that 4,000 people live in the town and that not even 20 have steady jobs. Even though Praia, the capital of Cape Verde, is booming, Ribeira da Barca is an impoverished town. The rule of thumb here is that those who have money buy sand. Those who do not sell it. The same applies in Hong Kong, Singapore, Indonesia and Cambodia. And, as geologist Harald Dill of the University of Hanover says: "Small city-states have a tendency to dig away the coasts of weaker countries." In 2012, the environmental organization Global Witness released satellite images showing how Singapore has expanded its territory by 22 percent over the past 50 years. The group provided evidence that the sand used to enlarge Singapore came from neighboring countries like Vietnam, Indonesia and Malaysia and had, in some instances, been extracted illegally. One country after the other then issued a ban on mining sand. Singaporean dredging vessels responded by setting course for Cambodia. Phnom Penh responded by likewise banning exports of the resource. Prospecting for sand has also been prohibited in Cape Verde since 2002 and the military does in fact patrol parts of the coastline for illegal mining activity. Sometimes they even arrest sand thieves, but the punitive measures have thus far done little to stop illicit trade. Clarisse Tavares Borges, who goes by "Dita," has herself been detained for sand theft. She spent 24 hours in jail with five other women. She is sitting on a plastic chair in her home with the curtains billowing in the wind. The crashing of Atlantic waves can be heard in the distance. There's china in a cabinet on the wall and the floor has been swept clean. The 38-year-old apologetically says she can't get up because she's suffered from back pain for years now. Bending down to get the sand and lifting the buckets is becoming more difficult for her, Dita says. Her older boys, aged 18 and 11, are perched in front of the house and her 18-month-old toddler is sleeping in the double bed shared by the family. Dita says she dreams that each will one day have their own bed to sleep in. In the village where Dita lives, sand mining is women's work. The men either work as fishermen or imbibe grog at the bar. Virtually all the women here, including Dita, are single mothers. They survive by selling vegetables or mining sand. Each morning the women and their daughters hike the stony path down to the ocean. Dita says they are well aware that their work is damaging to the village. She's even noticed that the drinking water now tastes saltier and that the mango and papaya trees are shrinking because of saltwater seepage. "We thought the sand would last forever," she says. Sand is similar to fossil fuels like natural gas, coal or oil: It takes thousands of years to form -- for rock to be naturally ground down into sand with rivers washing, grinding and breaking up stone on their long journeys to the sea. But the global population is growing, and since the start of the economic booms in Asia and Africa, sand doesn't even make it to the oceans anymore in some places. It often gets fished out before getting there. The Ganges River stretches for 2,300 kilometers (1,429 miles) across India. It runs from high in the Himalayas down toward Bangladesh and the Bay of Bengal. It passes through Indian cities like Kolkata (Calcutta) and Kanpur, which are growing quickly and have voracious appetites for sand. "The only thing that still reaches Bangladesh is a mixture of clay and silt," says geologist Dill. "People even fish for stones." With laws prohibiting the extraction of sand from rivers in many places, it has become a black market good. Hardly a day passes without Indian newspapers reporting on the dealings of the "sand mafia". "We only hear of the consequences when a textile factory collapses in Bangladesh," Dill says. "People aren't building on sand there anymore," and without sand, the ground isn't stable enough. Not all types of sand are identical. For microchips, lenses and glass, pure quartz sand -- of the type found in Germany for example -- is required. The construction industry also uses gravel, which by definition has grains measuring between 2 and 63 millimeters (0.07 inches to about 2.5 inches). It is mixed with cement and water to make concrete. In reality, there is plenty of gravel in the world. It's just not always where construction companies need it most. One might think that the Arab Peninsula, with its high sand dunes, would have the largest reserves, but desert sand isn't suitable for every purpose. It contains a surfeit of chalk, clay and iron oxide. And while the countries have considerable amounts of marl, quality sand is also necessary to produce cement. Paradoxically, then, the desert region is suffering a shortage of sand. The Arab Emirates want to continue growing -- both vertically, with their massive skylines, and in area. Construction crews in Dubai, Qatar and Bahrain are all busy erecting the world's tallest residential towers and massive airports. Dubai reclaimed land using 385 million tons of sand for its Palm Island project, which was then followed by a second one. Now work is continuing on another artificial archipelago project called The World. Nearby Saudi Arabia possesses sand reserves, but it has repeatedly restricted supplies to neighboring countries -- forcing construction cranes to come to a grinding halt. Even Germany, a country with a wealth of sand, imports the natural resource. Officials at the country's Federal Institute for Geosciences and Natural Resources in Hanover say Germany has enough sand supplies to last for thousands of years. The problem is that the sand on hand isn't always available -- it might be in a conservation area, in forests or located near municipalities. "It's a bit like wind turbines," Dill says, nobody wants a gravel pit in their backyard. In Germany, too, firms have begun mining sand from the ocean floor. Using dredgers the size of aircraft carriers, they trawl the North and Baltic seas, with gigantic suction heads vacuuming the grains from the sea floor. Nature conservation organizations fear the dredging could disturb the habitat of harbor porpoises and seals and that sustained damage is being done to the ocean floor ecosystem. "Anything that gets sucked in is killed," says Kim Detloff of Germany's Nature and Biodiversity Conservation Union (NABU). Klaus Schwarzer of the University of Kiel has conducted diving expeditions at the sites of sand dredging in the Baltic Sea. Off the coast of the island of Rügen in Germany, he discovered deep chutes dating back to East German times that still haven't returned to normal even after decades. "It's astounding how long marine regions take to recover," he says. But in some places where the suction heads left holes behind, they filled in again within half a year. "We need to do a good job of reviewing where and how much we dredge," Schwarzer says. One of the problems is that the sediment is only a few meters deep in some spots. The northern state of Schleswig-Holstein, for example, has been importing sand from Denmark to spread across its coasts for years because it has run out of its own. Norway also sells sand to Germany. "We can't just keep taking and taking," Klaus Schwarzer says. "At some point we will run out." In the eastern part of Hamburg, one can still see what many places in the area used to look like. There, a small forest gives way to a clearing and your feet begin sinking deep into the sand, as in a desert. The Boberger Dune is Hamburg's last remaining shifting sand dune. All other such deposits in the region were consumed as the city grew. The same phenomenon can currently be seen on the Canary Islands and in India, Brazil and China -- even on the small Cape Verde islands. But these days, the process goes much faster. Clementina Furtado leans against a bench in front of the Universidade de Cabo Verde in Praia. Having studied in both Belgium and France, she is part of the new generation in her country, one that is educated, multilingual and cosmopolitan. "By the time we began trying to control the depletion, it was already too late," she says. "We had already taken too much." The beach in her hometown has long since been depleted. Huge puddles full of garbage stand where the sand once was. Turtles used to live on the beach, but they have long since disappeared. "The crazy thing," says Furtado, "is that sea sand isn't even particularly good." he property developers responsible for the construction of 15 buildings purchased cheap sea sand, likely from illegal sources. "In reality, there is enough sand in the world," says Harald Dill. "We just want to have it cheaply." Researchers are already looking into possible alternatives, including using ground up glass or building structures using different materials entirely. On Cape Verde, they have begun crushing volcanic rock, but that costs more than sand produced by sand miners. "As long as there are people offering sand more cheaply, and then even more cheaply, it won't stop," says Furtado. Meanwhile, there's only one reason that the Boberger Dune still exists in Hamburg: In 1927, an agreement couldn't be reached on what its sand should cost. 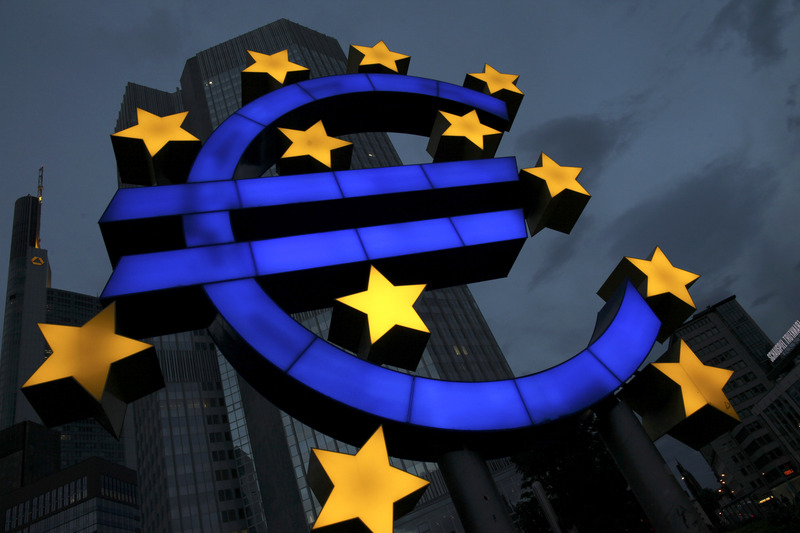 Most of the news which has come out since the European Central Bank’s last governing council, in early September, has made life more difficult for Mario Draghi. On the economic front, eurozone inflation continues to fall, dangerously approaching the zero bound. Inflation expectations have plunged back below the trough recorded in the summer. Hard and soft indicators all point to a slowdown in economic activity, now affecting also the core of the monetary union. Concerning the effectiveness of monetary policy, the results of the targeted longer-term refinancing operations (TLTRO) have been much lower than expected, and concentrated on the periphery, which may create new stigma and discourage further drawings in future. The size of the ECB’s balance sheet continues to shrink, while money and credit aggregates are still disappointing. BERKELEY – For decades, people have been predicting how the rise of advanced computing and robotic technologies will affect our lives. On one side, there are warnings that robots will displace humans in the economy, destroying livelihoods, especially for low-skill workers. Others look forward to the vast economic opportunities that robots will present, claiming, for example, that they will improve productivity or take on undesirable jobs. The venture capitalist Peter Thiel, who recently joined the debate, falls into the latter camp, asserting that robots will save us from a future of high prices and low wages. Figuring out which side is right requires, first and foremost, an understanding of the six ways that humans have historically created value: through our legs, our fingers, our mouths, our brains, our smiles, and our minds. Our legs and other large muscles move things to where we need them to be, so our fingers can rearrange them into useful patterns. Our brains regulate routine activities, keeping the leg- and finger-work on track. Our mouths – indeed, our words, whether spoken or written – enable us to inform and entertain one another. Our smiles help us to connect with others, ensuring that we pull roughly in the same direction. Finally, our minds – our curiosity and creativity – identify and resolve important and interesting challenges. Thiel, for his part, refutes the argument – often made by robot doomsayers – that the impact of artificial intelligence and advanced robotics on the labor force will mirror globalization’s impact on advanced-country workers. Globalization hurt lower-skill workers in places like the United States, as it enabled people from faraway countries to compete for the leg-and-finger positions in the global division of labor. Given that these new competitors demanded lower wages, they were the obvious choice for many companies.